A top priority of many fathers is to maintain a strong relationship with their children. We understand the plight of many fathers during the separation or dissolution of marriage process and offer sound advice about how to get through the process of establishing custody rights for unwed fathers. Florida law distinguishes between parents who are married and who are not married. Our firm helps our clients establish paternity and parental rights for unwed fathers through the use of paternity actions. A paternity action determines the rights and responsibilities of the parents regarding the children. Paternity cases are also used to establish the time-sharing or visitation schedule with the minor children. As a father, you might feel you are fighting an uphill battle. 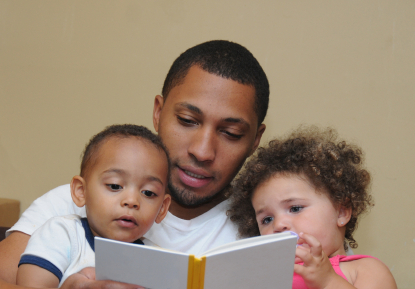 We are experienced in establishing custody rights for fathers even in difficult cases. Our firm prides itself on quality legal representation customized to each client’s particular facts and circumstances. While we are equipped to handle cases involving custody rights for fathers, we also handle represent mothers in parental responsibility, time-sharing, and child support cases. Our handling of family law cases for both genders allows our firm to provide advice to men establishing their parental rights from multiple perspectives. Situations change after child support orders are entered for fathers looking to establish rights. In certain situations, Florida law permits a modification of child support if there has been a change in financial circumstances by either parent or the needs of the child. Our firm understands the need to modify child support in certain cases and work with our clients to get the support to the appropriate amount. We understand how fathers feel during paternity cases and work closely with our clients to meet their goals. Florida law provides no presumption for against fathers (or mothers) when creating a parenting plan for the child either during a paternity action or dissolution of marriage. You should not feel that the court is treating you unfairly when determining custody rights just because you are a father establishing parental rights. However, every case is unique and the topic of parental responsibility can be detailed and confusing. If you have questions about the law or about your specific parental responsibility situation, call Boca Raton family law attorney Matthew D. Martin.